We’ve all heard of Earth Day, which will be celebrated on April 22 this year. But Aveda takes environmental stewardship so seriously that the company designates the whole month of April as National Earth Month. Locally, Raw Hair Studio makes sustainability a top priority. But just because our actions can have a serious impact on the world around us doesn’t mean that we can’t have fun while raising awareness for green practices. 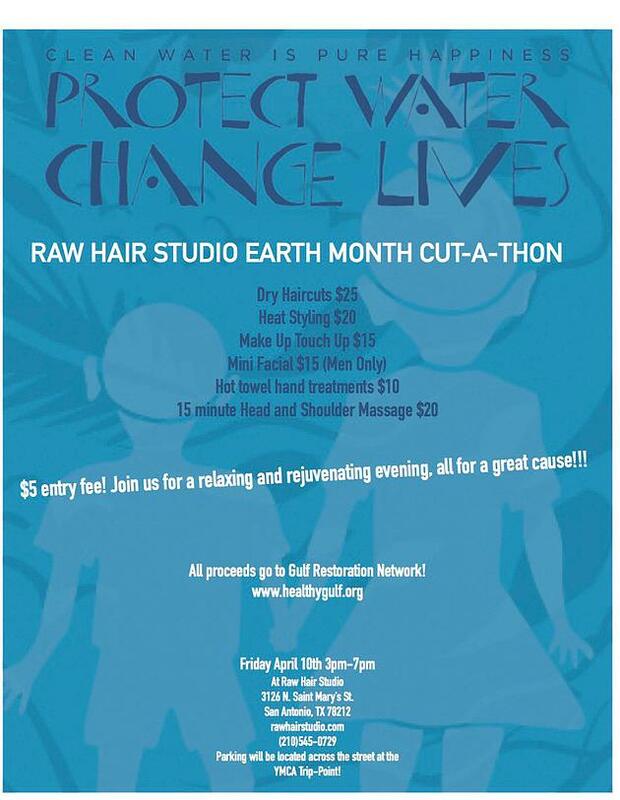 On April 10, 2015, Raw Hair Studio will host its annual Cut-A-Thon, with all proceeds going to benefit the Gulf Restoration Network in South Texas. This family-friendly event brings together live music, food, and pampering to raise money for an organization that works to protect and restore the natural resources of the Gulf Coast. Your $5 entry fee goes toward their mission to reduce pollution and destruction of the environment. Live music begins outdoors at 3 p.m. with catering by Grady’s Barbecue. Bring the whole family; kids can enjoy face painting and a bounce house. Special rates on pampering services are available, including dry haircuts, hand and scalp massages, heat styling, and make-up retouching. See full list of services offered at this event on our Facebook page. Call 210-545-0729 today to pre-book your appointment. Every appointment helps protect clean water. In addition to this exciting event, Raw Hair Studio will be selling special Light The Way Earth Month Candles for $12. Aveda donates 100 percent of the purchase price to Global Greengrants Fund for clean water projects in more than 70 countries. The glass from each candle is made from recycled bottles. 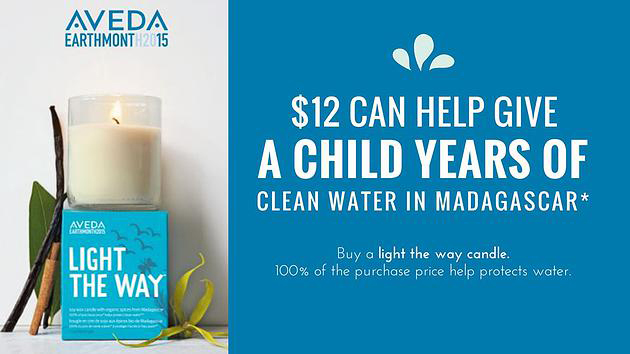 The purchase of one candle gives a family in Madagascar clean water for a whole year. Since the creation of Aveda’s Earth Month, salons across the country have raised more than $38 million for organizations that directly affect environmental change. At Raw Hair Studio, we hope to add to that amount this year with our annual Cut-A-Thon. Come out April 10 from 3 to 7 p.m. and enjoy the fun!